﻿ Nirvana Resort, Koh Chang | FROM $36 - SAVE ON AGODA! 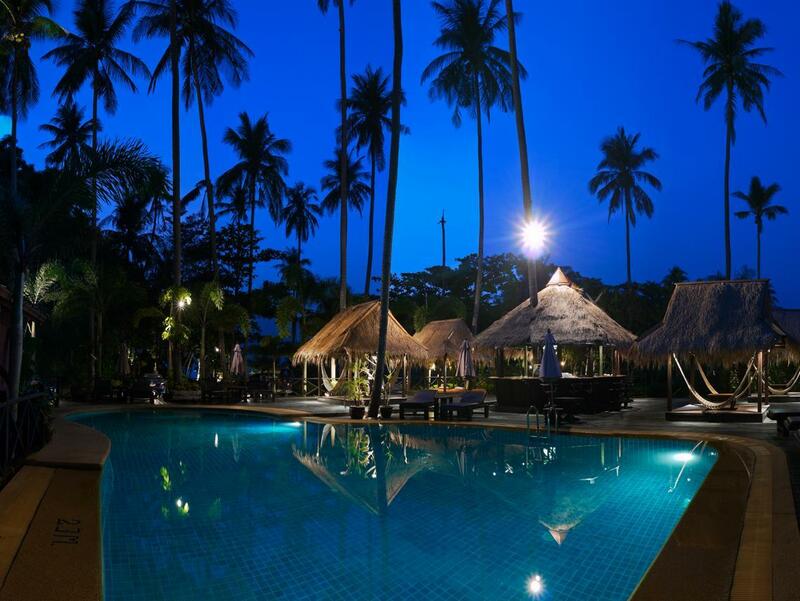 "This is one of my favorite resorts on Ko Chang;"
Have a question for Nirvana Resort? "The hotel is very close to the pier which makes it conveniently placed for day trips." "The rooms are individually decorated and a pleasant surprise." "Swimming pool is very nice and the bar area looks good." After undergoing a renovation in 2010, Nirvana Resort now welcomes guests with newly designed rooms and updated amenities. Enhanced by lush tropical foliage, breezy atmosphere, and an outstanding view, this resort is perfect for unparalleled relaxation. 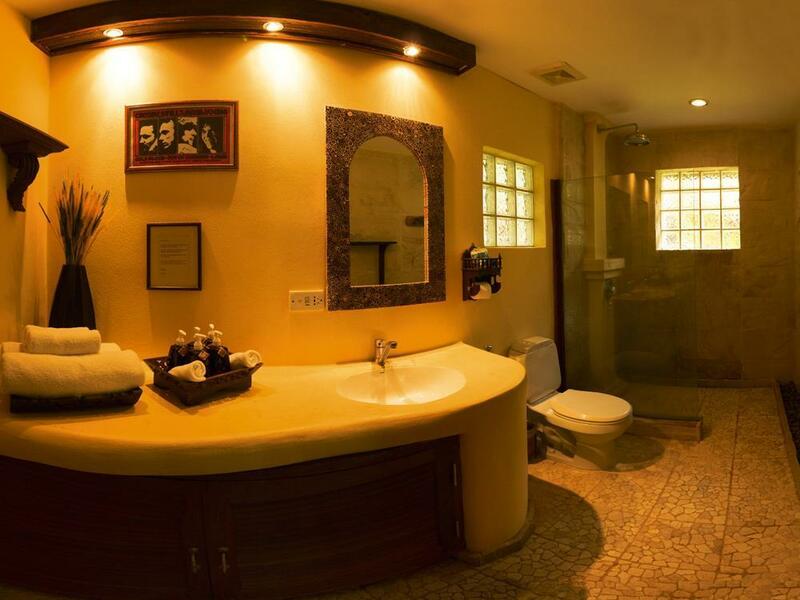 Boasting a range of Deluxe Bungalows, all rooms are decorated with soft Asian wood and warm earth tones, allowing guests to experience fabulous style coupled with modern facilities catered to your comfort. The property can arrange many nature-inspired activities like mountain trekking, bird watching, elephant rides, and cycling. The Tantra Restaurant offers contemporary Thai and European dishes in a Javanese environment. With a central location that ensures convenient access to all Koh Chang has to offer, Nirvana Resort is sure to be an ideal place to stay. "Excellent location for rest and relaxation." Room was good size with high ceiling and pleasant ambiance. Air con and fan worked but noisy. Never managed to get on WiFi in room but worked at reception and in restaurant. Breakfast pretty good but in general resort could do with some upkeep and more staff. Sun deck inaccessible as walkway rotted. Nice pool but bar always closed. Could get drinks at hotel restaurant nearby. Liked the area in general but beach at hotel not great. Much better one 20 min drive away. V nice pier with shops & restaurants over the bay but also not easily walkable. Hotel offered one shuttle a day to other beach but would advise you plan to hire a scooter or car unless you really like solitude. We took Deluxe garden bungalow. Pros:Very large. Wood, decoration with taste. Staff helpful. Restaurant good but price x2 cities prices. Breakfast included continental. Calm place. Homemade. Cons:far from everything, need scooter or car(hired 6500 baths for 7 days in lonely Beach). White sand breach 45 mins travel. We couldn't slow down the air cond. So too noisy to sleep. Fan noisy also. Hopefully weather is not too hot. Not acceptable in a 4 star hotel. Owner do not wants to invert to renovate. So renovation is given up. Global quality should drop with time. Other bangalows have not the air cond problem, but others as mechanical noises during nights close to pool, too small room close to beach.Our Bangalow was the first close to parking. The road is close, just in front, noisy car may disturb sleep, but rare, close to end of road. Swyming pool clean, but not enough clients to open the bar, given up. Great potential place. Need investments. Global is good, close to a 3 star hotel. We stayed at the beach front sea view cottage. Though the room has many light bulbs, half of them are fused. There were rats running around on the ceiling at night when we switched off the lights. Other than that, the location of the hotel is excellent for people that want to stay away from the nightlife areas of Koh Chang. The place is very good. the room is very clean and the ambiance is very wow! I want to go back to this place. I recommend it. But it is very far from the central point pier in ko chang. once the ferry was arrived in ko chang, i rented a motorcycle and headed on this hotel. It is very far and the road is so steep. Not recommend going there using motorcycle. It is very dangerous. better take the song tew taxi but i think the price is high due to far from the pier. This is one of my favorite resorts on Ko Chang; I've traveled there several times over the years both solo, with friends and with family. Usually I get around by motorbike (and you really have to be comfortable on a motorbike to use one on Chang due to the steep turns), and that makes this resort's location a plus for me. It's so quiet there and I loved how the sea splashes up on both sides of the resort, which is located on the narrowest part of a peninsula that forms one side of Bang Bao Bay. I especially enjoyed the west-facing side for sunsets and I even discovered some hiking trails on the headland that goes up behind the resort. The resort itself is just beautiful, a work of art I would say. The pool is excellent and the receptionist strikes a balance of being laid back yet professional and always approachable. They were doing some maintenance but even with that going on at some points during the day, the atmosphere was serene and ideal for relaxation. The room was AMAZING, but the location is pretty remote. You can see the sea from both sides of the resort and there is a fantastic sea wooden seawalk on the resort property. But if you want to get lunch or dinner or lay on the beach, you will need to take a taxi somewhere or rent a motorbike (which will be super dangerous unless you really know how to ride one--- the roads are super hilly and curvy and not well paved). But it's really great if you just want to chillax and if you can drive a motorbike. This is a really nice place. It's outside of Bang Bao but the hotel provides a free boat to the beach and a bus to Bang Bao pier. The setting is really nice with a viewpoint overlooking the bay, they even provide cocktails and drinks during sunset. Make sure you get to the viewpoint early to get a drink in before the bus leaves to the pier if you want to do both in an evening, though. The swimming pool is great and the breakfast overlooking the bay is top class. I especially liked the Madame et Monsieur on the menu. 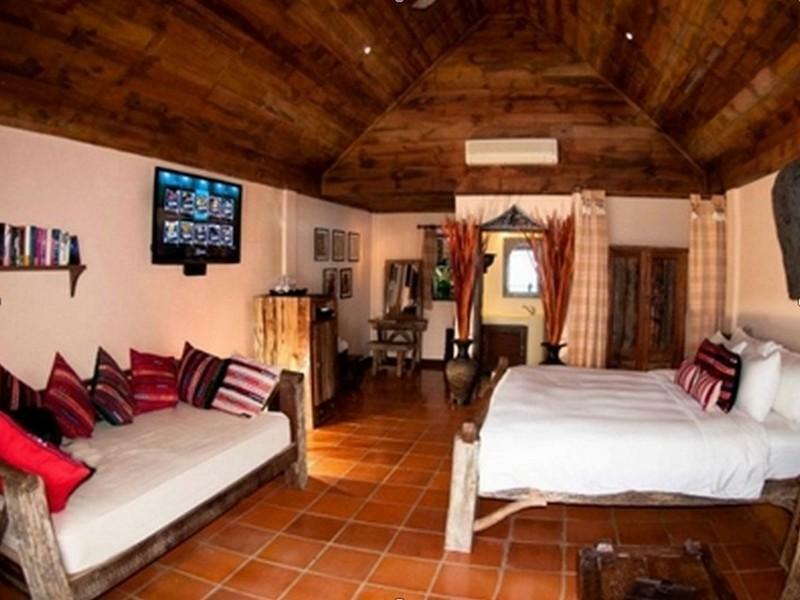 The staff were helpful yet the resort has a nice laid back and relaxed atmosphere. Bang Bao itself is a lovely spot and the restaurants on the pier are very reasonably priced. We thoroughly enjoyed our three nights here. Beautiful bungalows, nice pool, good breakfast, overall a good value for the price. A former 5 star resort, now in need of renovation. No beach, but free shuttle service to closest beach. A lot of reviews on here are from during high season and I'm sure the place is fantastic during high season. I stayed here in late Sep/early Oct. Positives: Scenery is absolutely beautiful. Rooms are fairly large and pretty cool. Very traditional and wooden design. Balcony is large. Swimming pool is very nice and the bar area looks good. Negatives: Nothing is open. The bar was closed. The restaurant which is heavily advertised on their website and on FB, even during low season with no mention of it being closed - is closed. This is a massive issue! The resort is not that close to Bang Bao or any restaurants. If you don't have transport, you're screwed. Not acceptable to not mention this on Agoda or the website. Not acceptable at all if you have a family. It's actually completely out of order, and I should have had some kind of refund. TV - yes, there's a huge TV in the room, but it doesn't have any channels. It's advertised as having satellite TV. It doesn't. .
We stayed in two different rooms - a bayview and a seafront. Both nice little huts with lovely views of the bay. The rooms are decorated with style and humour. Balinese hardwood and classic rock gig posters. The beds are comfortable with nice white linen. The gardens are beautifully maintained and the restaurant is one of the better places in the area to eat - try a watermelon shake. A family of monkeys hang around the hotel grounds. They can be mischievous, so don't leave stuff on the porch, that you're fond of. Both pools are really nice, but the pool deck by the bay was in need of a bit of repair when we stayed. The beach is not great. It is too close to the pier of Bang Bao, so the water is a bit murky. On the flipside you can easily walk to Bang Bao which offers a variety of tour operators plus places to eat and also a bit of shopping. The Nirvana staff is really nice and very helpful. We enjoyed our stay in Nirvana a lot. The walking deck long the sea doesn't exist; for lunch and dinner need to go out of resort and if you don't have the car is pretty difficult because the resort is in the middle of nowhere; rooms are big, towels were broken, bed with rusted nails..we changed the room because no hot water... so bad! Breakfast was good and the staff (2 people) were doing all their best to make us comfortable! I'm still upset for such bad experience!! Our stay at Nirvana was overall very pleasant, and we will return again next year. Having said that, the promotional pictures etc used for marketing are VERY outdated, and the star attraction - "sunset walk" is NOT SAFE anymore, and unfertunately, should be closed. The wood used for all construction was rotten, and many of the boards on the deck were simply no longer there! this was however the only dissapointing aspect of this great little resort. The location was fantastic - especially if you like the quiet life. there are NO bars etc in "BangBao", which added to the appeal. For small kids, the staff are great, and one of Nirvana's greatest assets. A rental "scooter" is a must when staying at Nirvana as it takes about 20mins to walk each way to the Bangbao fishing village - much more fun on a scooter !! 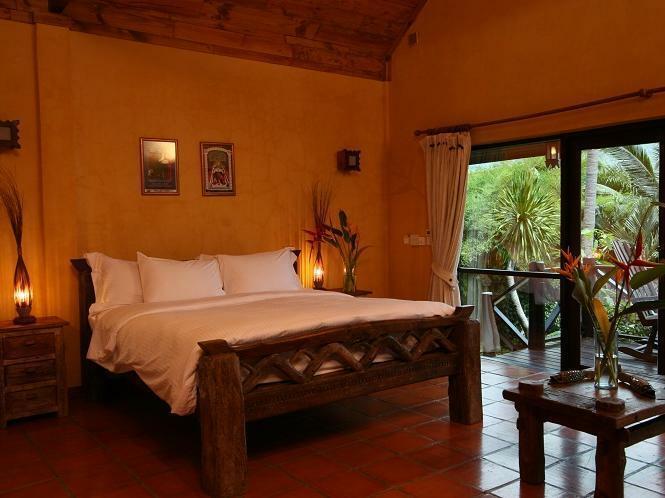 This resort is perfect for families who enjoy nature, and are NOT scared about small geckos in the rooms etc. 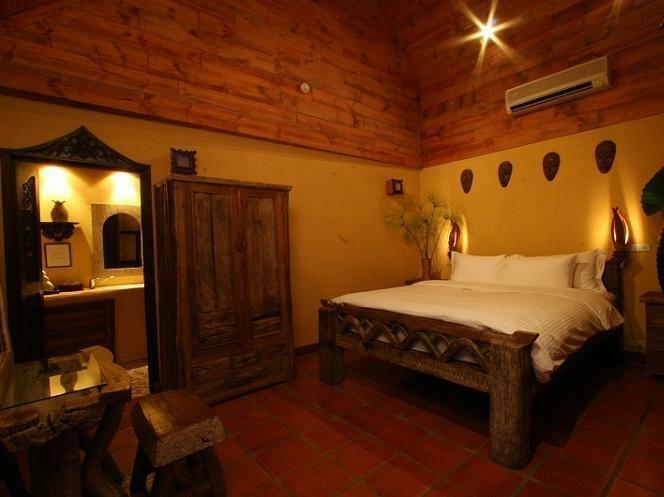 Rooms are really good, and spacious, A/C is fine - so all you need & expect from a "jungle" bungalow. Despite the rotten wood & repairs that need doing, i would DEFINATELY recommend this location & resort for all EASY GOING AND RELAXED visitors. Booked a Jungle cottage online, when we arrived we had a look at it but to small and half up a steep hill..Upgraded to a hut on the water, much bigger and better location..Paid extra.but worth it..Room very large and nice view across to village.Staff friendly, Resturant average, no fans or a/c bloody to hot...To isolated from everything, need a car to get around.. Excellent location for rest and relaxation. Great reef for snorkelling and an incredible, Michelin-star chef at the restaurant. Staff were so friendly and helpful. 9 days went too quickly.